Supports up to 11 lbs. ; weighs just 2.29 lbs. Sports Setup. 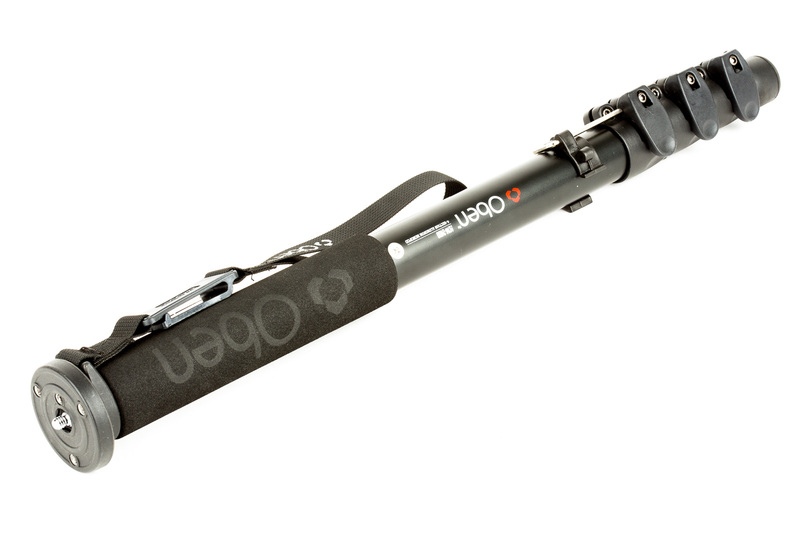 This kit is perfect for telephoto/light super telephoto use. 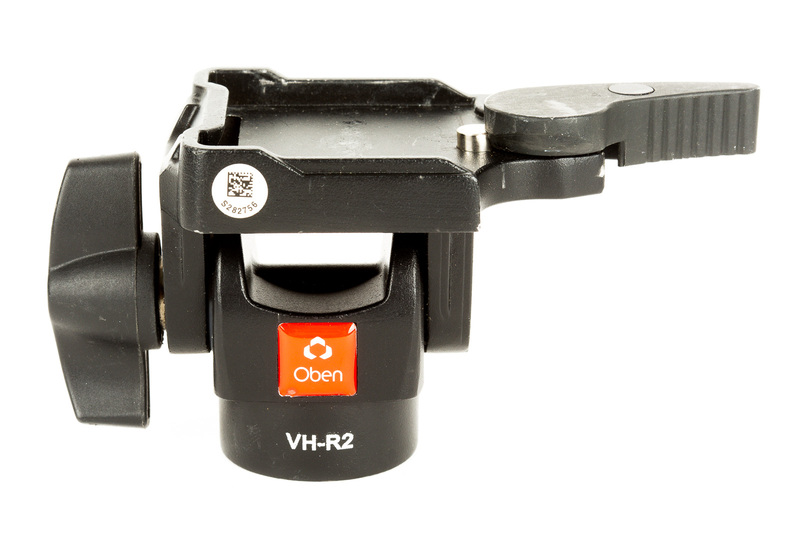 The VH-R2 Swivel/Tilt head is rated for up to 11 lbs., making it an ideal pairing for 70-200s, 100-400s, and 300 f/2.8s. Quick-Release System. 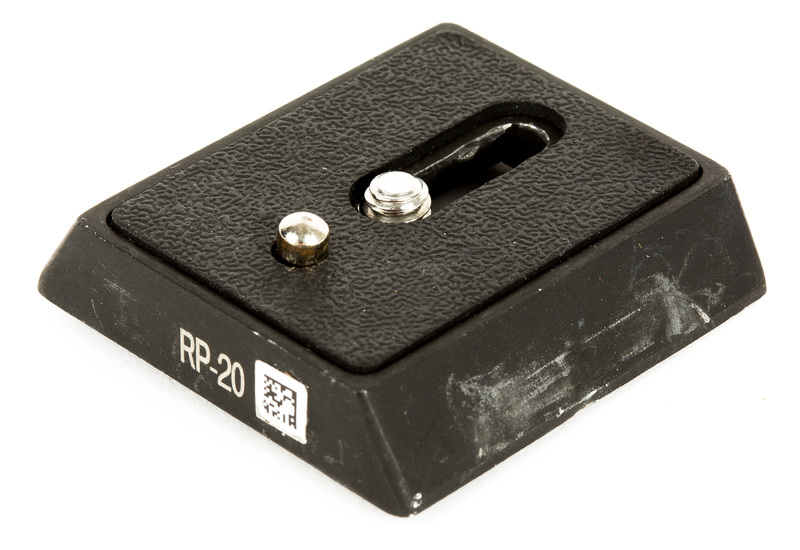 The removable lens plate makes quick lens swaps a breeze. Tilt/Swivel. This kit’s 180° one-axis movement gives you greater flexibility in shooting angles. While it’s more restrictive than a traditional ballhead, you don’t have to worry about it flopping around. Additionally, if your setup doesn’t include a lens with a tripod ring, you can use the tilt functionality to position your camera in the 90° vertical format. Lightweight Yet Flexible. The whole kit and caboodle tips the scales at just 2.29 lbs., yet extends to a maximum height of 63.2 inches. 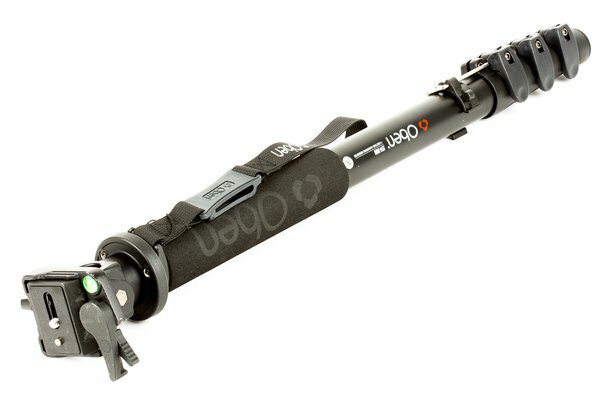 Flip locks allow the four-section monopod to collapse to just 21.6 inches with the head installed.